Sunbelt Forest Products is a leading manufacturer of high-quality pressure treated lumber headquartered in Bartow, FL, and locations in Alabama and throughout the Southeast. We specialize in providing wood products that hold up to the harsh tropical climates of the Southeastern United States and the Caribbean. We are committed to creating value for consumers and conserving forests by extending the life of wood and wood products. Our pressure treated wood products include fencing, decking, lumber, plywood & many specialty products. Our treated products include Ecolife®, Borate, Copper Azole (CA), CA with water repellent and Micronized Copper Azole (MCA) with BARamine® Technology. Borate provides permanent protection against termites, decay fungi & wood destroying insects in dry interior applications. Ecolife® is a non-metallic preservative offering weather protection and environmental attributes. The CA line of products provides protection from rot, decay, and termites in exterior applications with an added option for water repellent. MCA with BARamine® technology is a high-powered preservative blend that takes the traditional protection of copper azole and moves it steps ahead of other residential formulations. Our treated wood products include Ecolife®, Borate, Copper Azole (CA), CA with water repellent and Micronized Copper Azole (MCA) with BARamine® Technology. 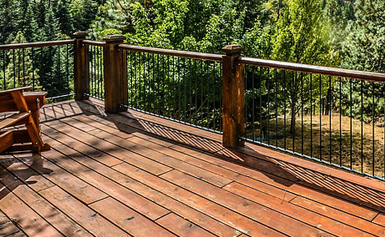 Pressure-treated decking has added benefits and protection to keep your outdoor project looking great. 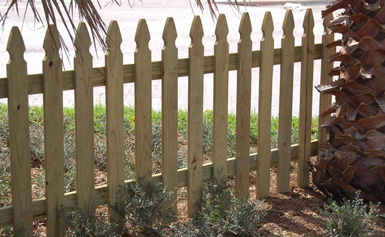 Our fence pickets and panels are pressure treated for above-ground applications and long-lasting protection. Our pressure treated lumber stands up to insects, rot, and decay for a project that will last many years. 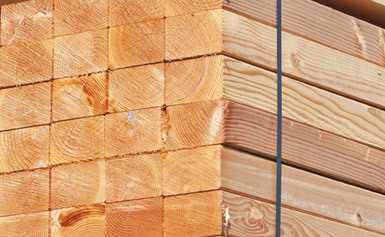 Our PT lumber products include Ecolife®, Borate, Copper Azole (CA), CA with water repellent and Micronized Copper Azole (MCA) with BARamine® Technology. Borate provides permanent protection against termites, decay, fungi, and wood destroying insects in dry interior applications. Ecolife is a non-metallic preservative offering weather protection and environmental attributes. The CA line of products provides protection from rot, decay, and termites in exterior applications with an added option for water repellency. MCA with BARamine® provides the popular MCA appearance and performance with improved penetration. 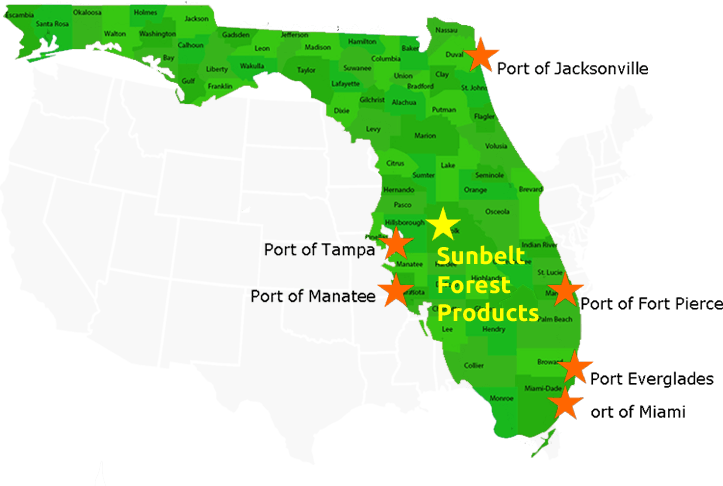 Sunbelt Forest Products has been in the export business for more than 30 years. 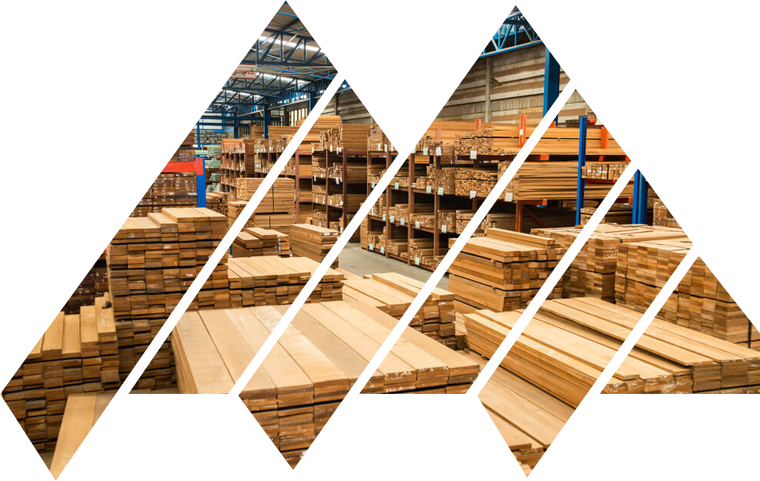 We began developing the Caribbean market in the mid-1980s and service home centers and lumber yards in countries throughout the eastern Caribbean with our extensive line of PT lumber and building materials. Strategically located in central Florida, we have easy access to all Florida ports. Because we ship out of all Florida ports on a regular basis, there’s virtually no limit to where we can service. With our years of export experience, ideal location, and strong relationships with port & carrier personnel, you can trust that your lumber order will arrive in a timely and cost-efficient manner.